Want to learn c programming? 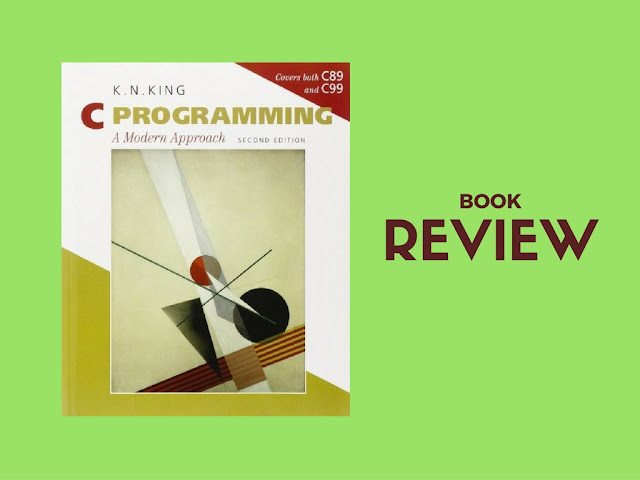 The C Programming : A modern approach by K.N King is one of the most recommended c programming books. The article has an exclusive review of the book. We have tried covering various aspects of it. Some readers may also like to read our second section about "improvement areas" in this book. All in all, its a really good book to own with very good value for the buck. Keep reading for more detailed review below. The first edition of the book was adored by both lecturers and students alike, primarily due to the comprehensive and clear Q & A sections. The book is all about C and C++ programming and has proved to be one of the outstanding books written in this forte. The author of the book is an associate professor in Georgia State University teaching computer science department. He has authored two more books: Java Programming: From the Beginning and Modula-2: A Complete Guide. This software classic was created by him keeping a broad range of readers – starting from beginners to advanced students. The author’s approach towards this book is such that it can be accessible to a broader range of students, whether they are new to the field or are advanced learners. This well-written book is a great asset for beginners and is recommended for serious students and future C programmers. Whether you are just stepping in the computer programming world or you are a seasoned student – this book is perfect for you. It is highly recommended for those readers who wants to learn C programming with easy to understand concepts and explanations. The book is a recommendation not only for those who want to learn C programming, but also for professionals who want to take a refresher or polish their C knowledge. You can use this book as a beginner’s guide and brush up your knowledge about C and C++. The more you read, the sharper would be your understanding. The depth regarding the elements of programming practices is one of the USP’s of this book. These practices are well-structured with great examples that are easy to understand. Some of the great points about this book are worth mentioning here. The beginning chapter ‘Fundamentals’ dealing with the instruction to C, creates a solid ground work for C language including syntax. The pointers in the book are placed excellently with perfect examples, diagrams and exercises. The pointers are so well presented in the book that beginners will not get confused while studying pointers in C as this is the topic that is most confusing for beginners in C programming. The author has done a great job in connecting the ideas from one chapter to another. This book is an excellent resource for teaching as well as the language of the book is chosen very carefully and in a comprehensive manner. The great examples of programming codes make it a good reference for a programming teacher. The best three adjectives that can be used for this book are: accurate, approachable and engaging. The author has carefully curated the Q & A section of the book at the end of each chapter. This Question and Answer section contains possible questions that can arise from the chapter. Solving these questions would help the student to understand the concepts and examples lucidly. The programming projects and exercises help in amplifying the presented material of the book. If we want to bring a comparison to the work of this book, the author can be compared to a fine craftsman. This book is a combination of accuracy and clarity that is unmatched in this genre. The content of the book is organized in such a fashion that it won’t be a straightforward task answering the questions in the Q and A; hence the Q & A sections would engage your analytical skills. Though the book is an excellent resource, there are few areas where the author could have done better. The description of the struct types is passed by value from one function to another and is implied in the book, but not stated very clearly. Also, the content on program designs is not complete in terms of information topics. The author jumped too early into C++ and encapsulation, leaving out several basic ideas in C program organization. These areas should have been improved in the book by the author. The author has also made the chapters lengthy, requiring much time for reading and completing them. The book is one of the leading and most acclaimed books on C programming language. It’s adopted as the textbook of choice by hundreds of colleges in the US as well. It’s one of the most comprehensive books on the language, which is a must-have for all C programming enthusiasts.